NEW YORK (CNNMoney) - The Trump administration wants to open virtually all federal waters to offshore drilling even as his administration pushes to relax regulations designed to prevent a repeat of the BP oil spill. One of the key lessons from the BP oil spill, the biggest in American history, was to create a powerful agency charged with safeguarding offshore drilling. Barely seven years later, this Interior Department regulator is changing its tune under President Donald Trump. Instead of focusing exclusively on safety, the Bureau of Safety and Environmental Enforcement now promotes pumping more offshore oil and gas. To help energy companies achieve that new goal, the agency is proposing changes to safety rules enacted after the Deepwater Horizon explosion. Environmentalists and former officials worry that the pendulum may be swinging too far away from safety. "It shows just how short our memories can be about the devastating consequences of the Deepwater Horizon accident," said Jason Bordoff, a Columbia University professor and former Obama energy official. This shift by BSEE has taken on new urgency given the Trump administration's announcement on Thursday to roll back an Obama-era ban on new offshore drilling off the coasts of Florida and California. The move raised environmental concerns, including from Florida's Republican Governor Rick Scott. BSEE's proposed revisions would ease certain safety reporting standards and remove requirements that safety devices get certified by independent third parties. BSEE said the changes would help meet Trump's goal of "energy dominance" by ramping up domestic oil and gas output. "Reducing unnecessary burdens" of regulation should save the energy industry $228 million over a decade, the agency estimates. Additionally, BSEE said it's working on a more consequential rewrite to a rule that was enacted to minimize the risk of a well explosion like the Deepwater Horizon one that killed 11 workers. A draft of the rule obtained by The Wall Street Journal shows that BSEE wants to relax requirements to have backup plans for blowout preventers, valves used to prevent oil spills. It would also erase a requirement that BSEE confirm the number of pressure drillers used in new wells is "safe," according to the Journal. A BSEE spokesman declined to comment on potential rule changes. He said the agency is required by law to ensure oil and gas resources are developed in a "safe and environmentally sustainable way." BSEE Director Scott Angelle, a champion of the oil industry, last week called for a "paradigm shift" in regulation because he believes the agency "can actually increase domestic energy production and increase safety and environmental protection." Although cutting regulations could reduce costs, Bordoff warned that a repeat of the BP oil spill would simultaneously be "terrible for the environmental, regional economies and the entire industry." The presidential commission appointed to study the disaster concluded in 2011 that the explosion could have been prevented. The final report said the incident revealed risk management failures that "place in doubt the safety culture of the entire industry." One of the recommendations was to create an independent safety agency to focus exclusively on offshore drilling safety. The commission noted inherent conflicts of interest in the old system, in which the safety regulator made money by leasing property to oil and gas companies. Today, BSEE serves that role as the lead agency in charge of improving safety and preventing oil spills. Its staff of 850 conducts unannounced inspections, carries out investigations and does real-time monitoring. The oil industry has complained that the response to the BP oil spill was too burdensome and needs to be dialed back to keep the U.S. competitive with Brazil, Mexico and other deepwater drillers. The American Petroleum Institute, the industry's lobby group, notes that oil and gas companies support over 10 million jobs. Despite complaints about regulation, offshore oil production is strong right now. The Gulf of Mexico, which accounts for the vast majority of domestic offshore oil production, is expected to pump more oil than ever in 2018, according to energy consultancy Wood Mackenzie. "The safety regulations did not go too far. It's not burdensome," said William Turner, senior research analyst Wood Mackenzie. He said the rule changes may cut costs, but are unlikely to turn "red light projects into green lights." While Gulf of Mexico production is poised to hit records, Wood Mackenzie warned that record output will be difficult to sustain because exploration activity has flatlined. 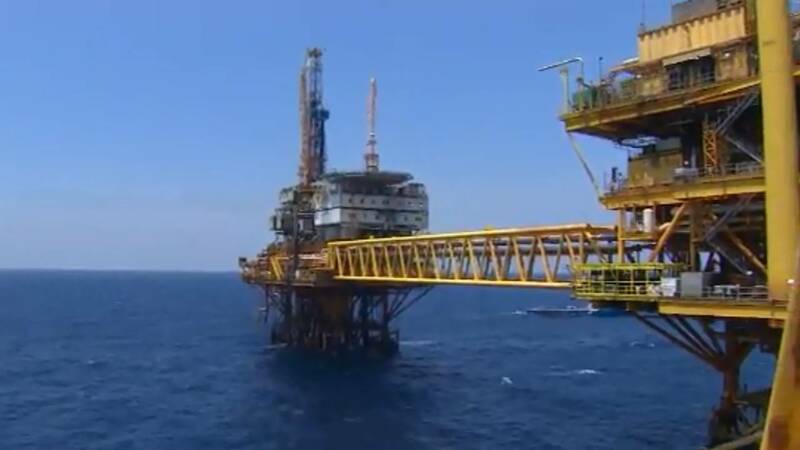 It can take five to ten years to develop expensive deepwater projects in the Gulf. "Unless we can get more ways to attract capital in the next few years," Wood Mackenzie senior manager Imran Kahn said, "the picture will not be rosy by any means."